one to three days via Media Mail. used in 33 countries around the world! Captivating Illustrations! Easy to Understand Text! Read, color and learn about how to go to Heaven. 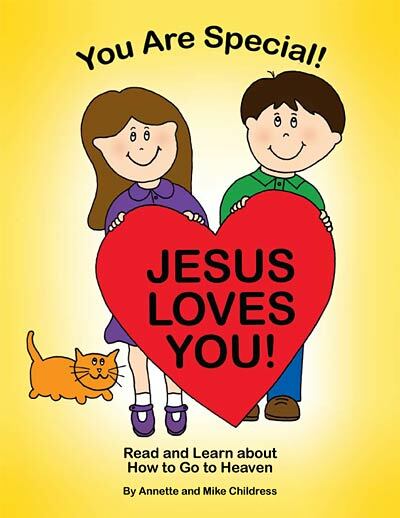 This coloring book is a wonderful tool to teach children about God’s Plan of Salvation. Its clear and simple message is easy for children to understand. Available in: English, Spanish, Haitian Creole, Romanian, & Slovene. Read, color and learn about the life of Jesus. This coloring book tells children about the amazing life of Jesus – His birth, childhood, ministry, miracles, death, resurrection, and ascension. Available in: English, Spanish, & Haitian Creole. This 4-page booklet explains what happens when you pray and tell Jesus that you believe in Him and teaches how to live in a way that is pleasing to Jesus. Available in: English & Spanish. All materials are available in Spanish! in 33 countries around the world! Presentation books and posters also available. Available in English, Spanish, Haitian Creole, Romanian, & Slovene. Available in English, Spanish, & Haitian Creole. This 4-page booklet explains what happens when you pray and tell Jesus that you love and believe in Him, and how to live in a way that is pleasing to Jesus.